A bakery in Behala manned by differently-abled people is churning out some of the best cakes in Kolkata. If you have been to Sienna Cafe, you would have enjoyed the delicious mini pastries that come with the coffees. Only, they aren’t ‘pastries’ but financiers and madeleines. They are made by Shuktara Cakes, a bakery in Behala which was started by a charity that provides care in a home environment to children and adults with disabilities who have been orphaned or abandoned. The bakery was set up by French restaurateur Alain Cojean (who runs the foundation Nourrir Aimer Donner – Eat, Love, Give – and a chain of restaurants in Paris called Cojean) and David Earp, a British textile dealer who had founded Shuktara Home in 1999. The products of this bakery – cakes, madeleines and financiers – sell for about INR 550 a kilo. The poppy seeds in the orange poppy seed cake are not just dusted on top but mixed into the batter so you get the texture and nuttiness in every bite. We highly recommend the mosambi poppy seed and the ginger, cinnamon and walnut cakes. They also have eggless varieties. The almond and chocolate financiers for for INR 90 for a bag of 12 minis and INR 625 for a box of 25. 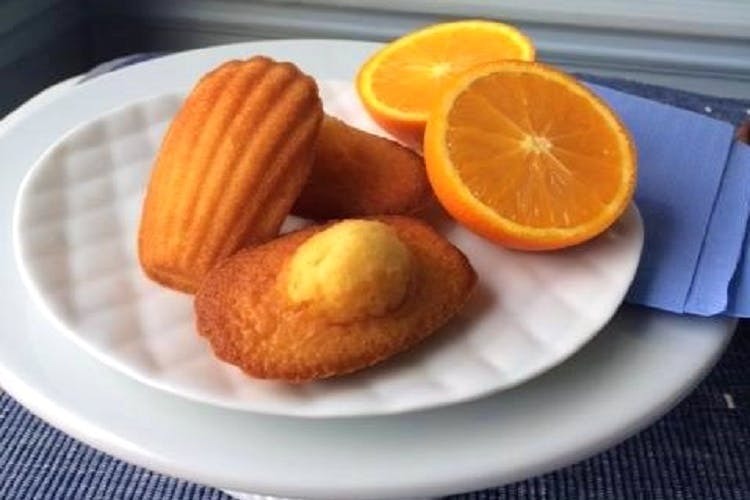 The madeleines start at INR 120 for a bag of 20 mini-sized ones. Oorder a whole bunch of homemade baked goods. Orders are taken over phone (9874349175) and home-delivered.